Raising money for your school has never been easier. LIFE– Loan Interest for Education. 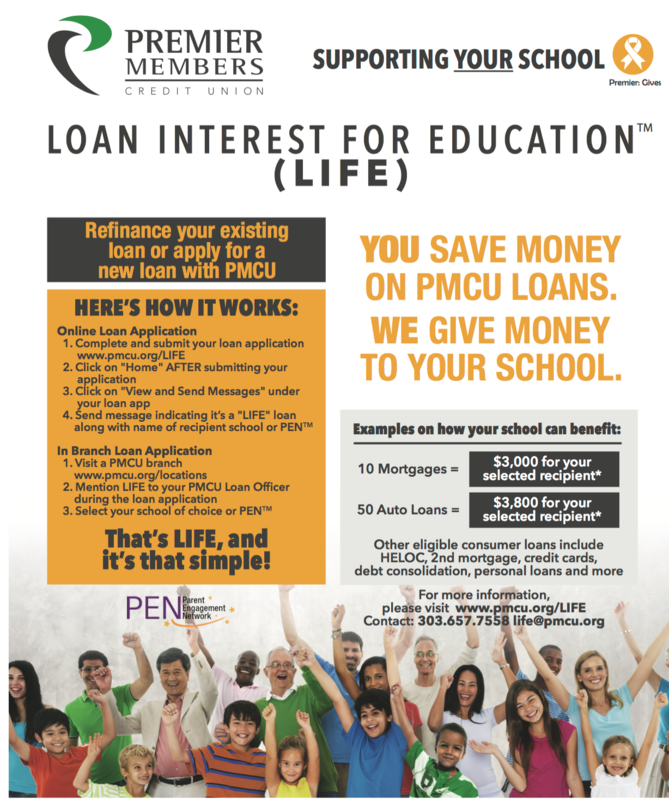 You’ll save money on all of your loans and a portion of the interest paid will go directly to Monarch’s PTSO when you simply mention LIFE and Monarch High School when you apply for a loan at Premier Members Credit Union. That’s LIFE and it’s that simple. Learn all about how your mortgage or car loan can help Monarch High School here. Additional details here. Be proactive and set your entire family up with low-cost financial services today so you can rest-assured that everyone will receive the best value on all of their financial needs. That’s a New Year’s resolution that helps everyone. Discover the advantages credit unions offer – low-cost financial services, better rates on savings, and premier service. Open a credit union account for all of your family members. There’s a branch of the Premier Credit Union right here at Monarch for your student.